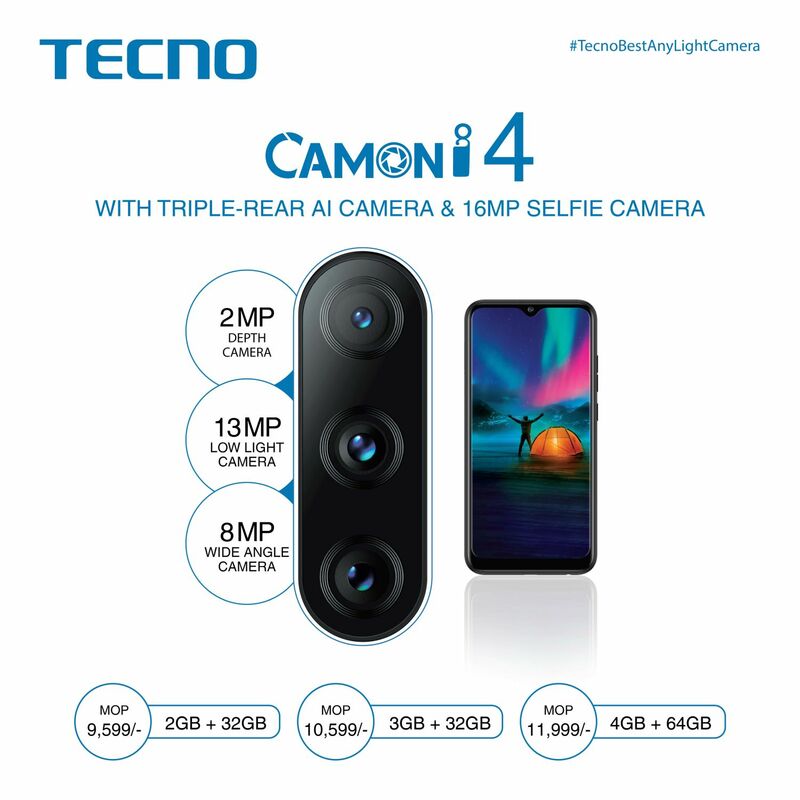 TECNO, a leaqding growing offline camera-centric smartphone brand in the mid-range segment today has taken another step forward by launching its first Triple rear camera smartphone under its popular and massively successful CAMON portfolio in India. TECNO CAMON i 4 is set to become a benchmark in under 12K segment owing to its ‘Best Any Light’ camera proposition. The design of the phone realizes every sense of the full screen concept. CAMON i 4 is the first smartphone from TECNO to feature a ‘dot notch’ screen with the front camera embedded at the top of the screen. The device flaunts 6.22-inch HD+ with an aspect ratio of 19.5:9 and the higher screen-to-body ratio of 88.6% allows users for a super large view for better viewing experiences. The 2.5D glass finish back cover of phone catches the eye with a subtle yet mesmerizing interplay of light & shadow from different angles. The device comes in 4 exquisite colours - Midnight black, Aqua Blue, Nebula Black and Champagne Gold. With large round curves on the corners and through the unibody design process, the device brings a singular and seamless product experience and a complete sense of grip in hands. 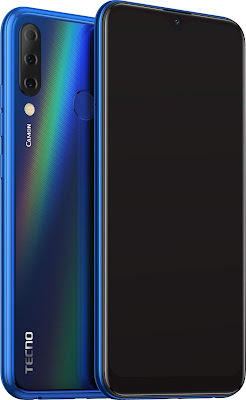 CAMON i 4 is equipped with HiOS 4.6 which uses Artificial intelligence to give smartphone users more intelligent & intuitive navigation basis in-depth mining and matching according to people's preferences and habits of using different applications. And in turn optimizes the battery life by intelligently prioritizing the app you use most and adjusting the power saving mode of hardware such as APP, Sensor and CPU.